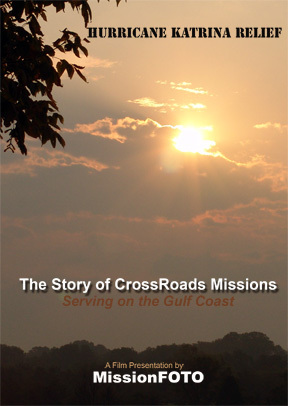 CrossRoads Missions of Louisville, KY requested that we accompany an advance team to the Gulf Coast ten days after the storm had struck the 200 miles of the Mississippi and Louisiana coast. With a base in Wiggins, MS, MissionFOTO traveled through several towns along the storm’s destructive path, including Gulf Port, Long Beach and Slidell. Hundreds of victims were interviewed over the ten day period and a promo film was quickly produced for CrossRoads to help raise funds, solicit equipment donations and alert worker volunteers. Some of these interviews eventually found their way into the film Victims of Katrina, produced by MissionFOTO a year later after three additional trips to the coast.